Browse: Home / Is Mosque Video Cognitive Dissonance? What follows makes perfect sense. Especially given that initial reports spoke of a total of FOUR individual being arrested in connection to the shooting. So in addtion to Brenton Tarrant three others were detained by police. What happened to them? Who were they and what role did they play at Christchurch? Are they still being held or were they released without charge? Ed. They promote cognitive dissonance. Consider 9-11 when the government and media went with an official story that does not hold water. Jet fuel could not have caused the destruction. No plane hit Pentagon or crashed at Shanksville. 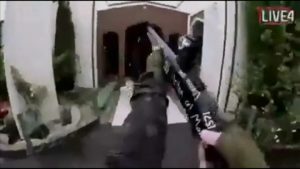 There is intentionally-created confusion re Christchurch in order to foster the ‘conspiracy theory’ smear – in particular, a fake ‘shooter video’, with the likely purpose of distracting from real mosque killings done by government-complicit operatives, killings which we didn’t see on camera. In this video we see more than one crises actor being wakened from a drugging operation which I conclude was necessary to give “authenticity” to the 16 minute Tarrant Video. In the Tarrant video he is shooting what are probably rubber bullets as a Coup de Gras operation into already “shot” victims. “Victims” that are awake, as with crises actors, will flinch and react to such hits. Therefore the drugging operation as part of their contract keeps them asleep and therefore when hit gives the impression of an already unconscious or dead victim. Therefore the leaked training video could very well be part of the aftermath of the 16 minute Tarrant video. Possibly. 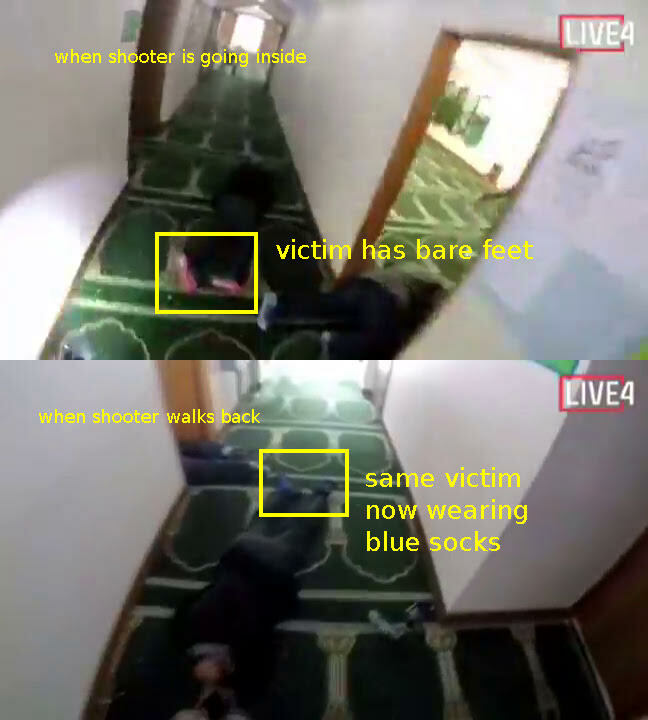 The second reason for the Tarrant video was to give the one lone gunman aspect to this shooting which gives closure to the operation and allows the real shooters to get away. Tarrant here may be the Patsy so to speak. The killing operation probably required more than one professional to kill as many people and in more than one location. This seems to be a reoccurring theme to all of these shootings. Every last one of them. People who can get away from the mass media hypnotic agenda and with at least one neuron between their ears can see the pattern.